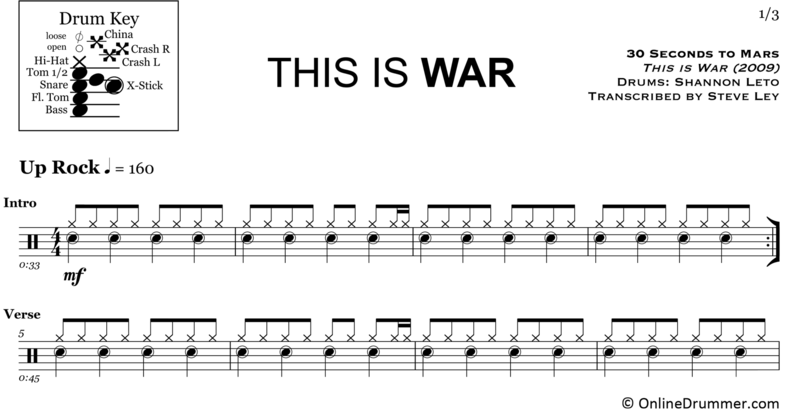 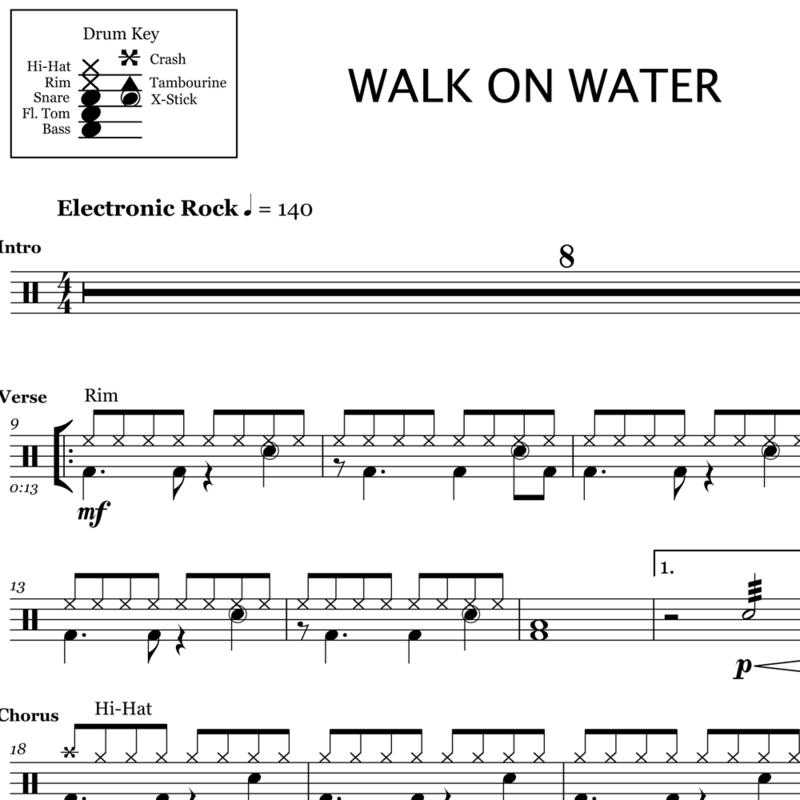 The full drum sheet music for “This Is War” by 30 Seconds to Mars from the album This Is War (2009). 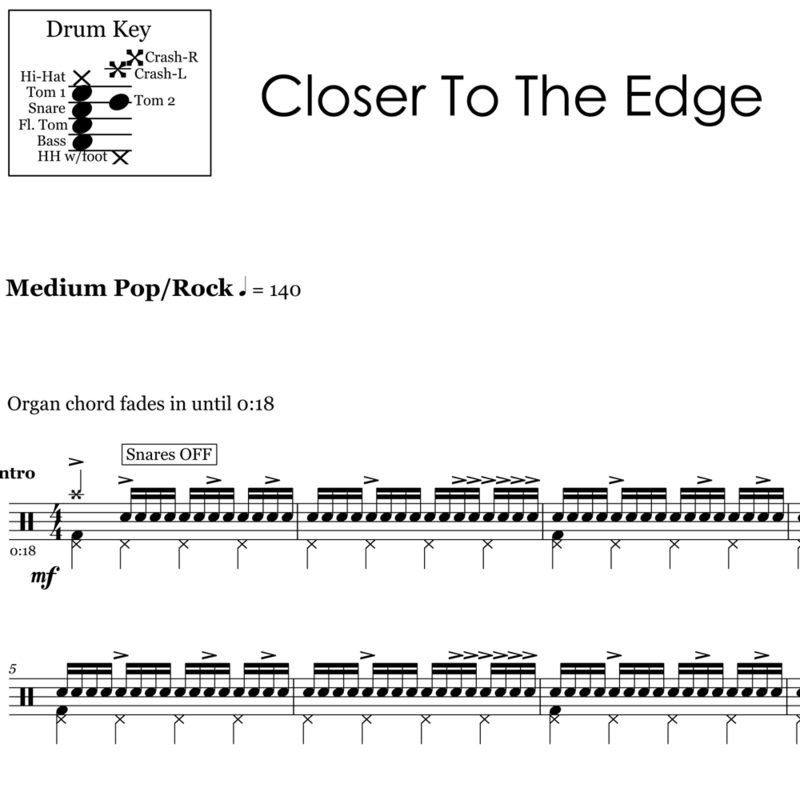 Shannon Leto plays driving, rim-knock quarters throughout the intro and verses of the song. 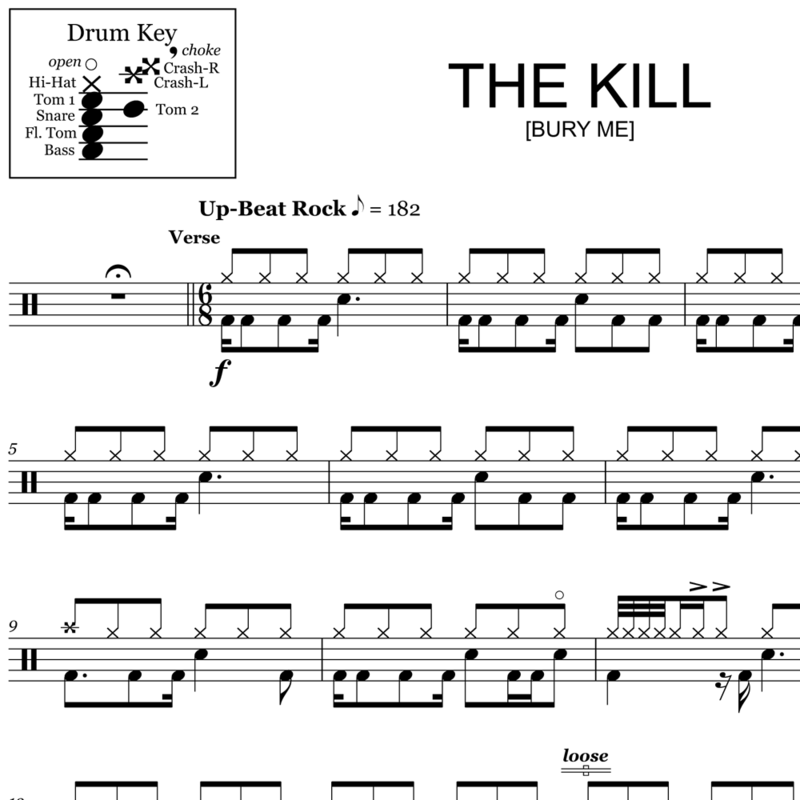 This builds energy into the unconventional snare drum placements in the chorus, which create a “drums of war” feel. 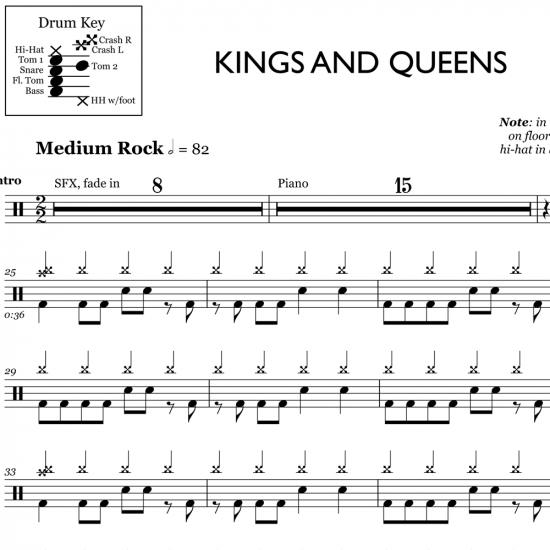 There are plenty of military-esque, accented sixteenth note grooves. 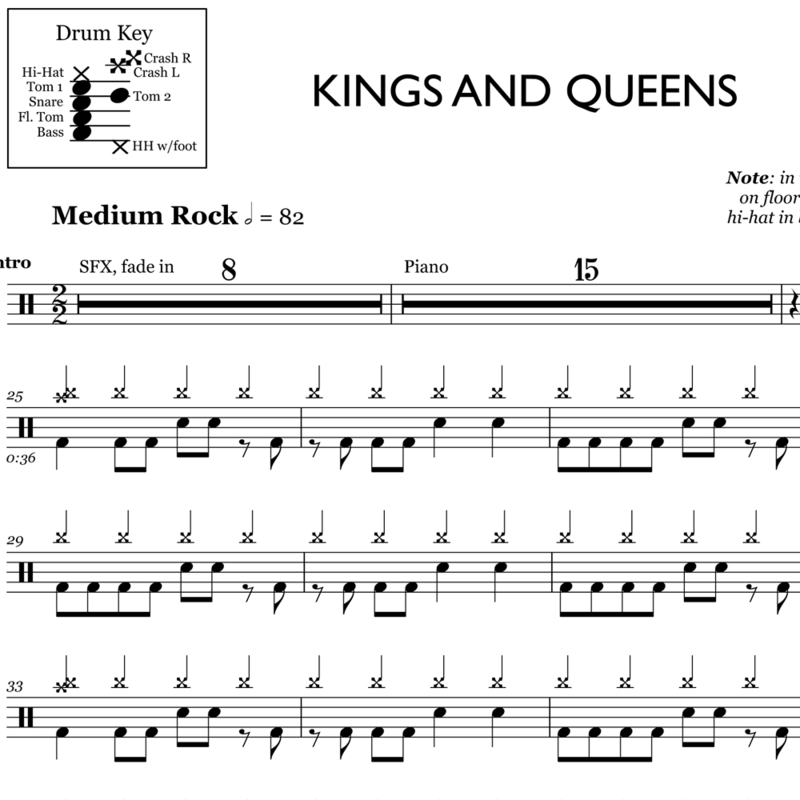 The full drum sheet music for "Kings and Queens" by 30 Seconds to Mars from the album This Is War (2009).